I realize Christmas is quickly approaching, but there is still time to craft when it is a project as easy as this one! 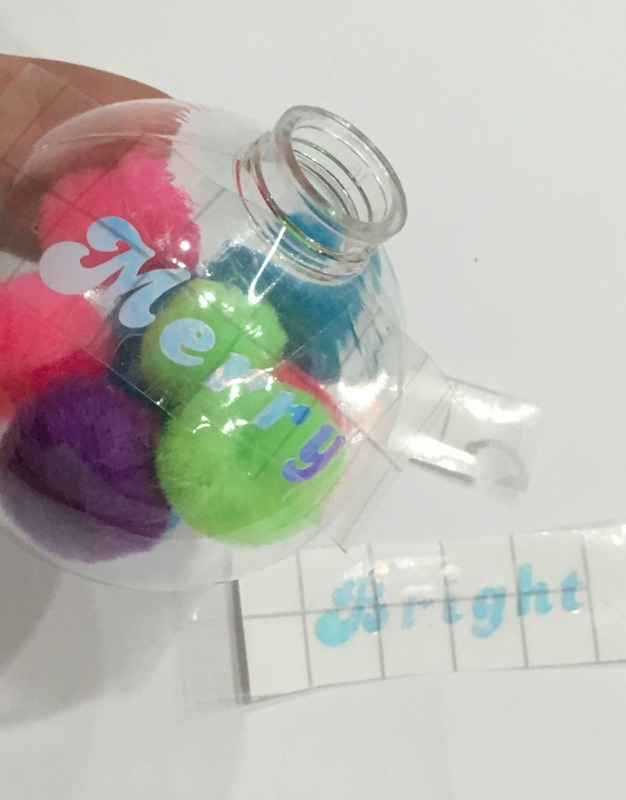 DIY ornaments make great neighbor or hostess gifts or gift toppers. 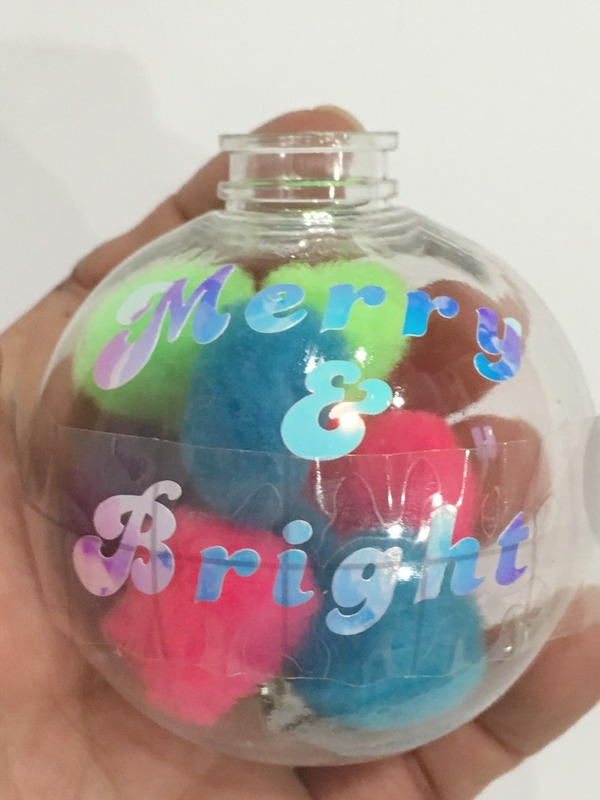 I used plastic ball ornaments, bright pom poms, and holographic vinyl to make this Festive Pom Pom Filled Christmas Ornament. 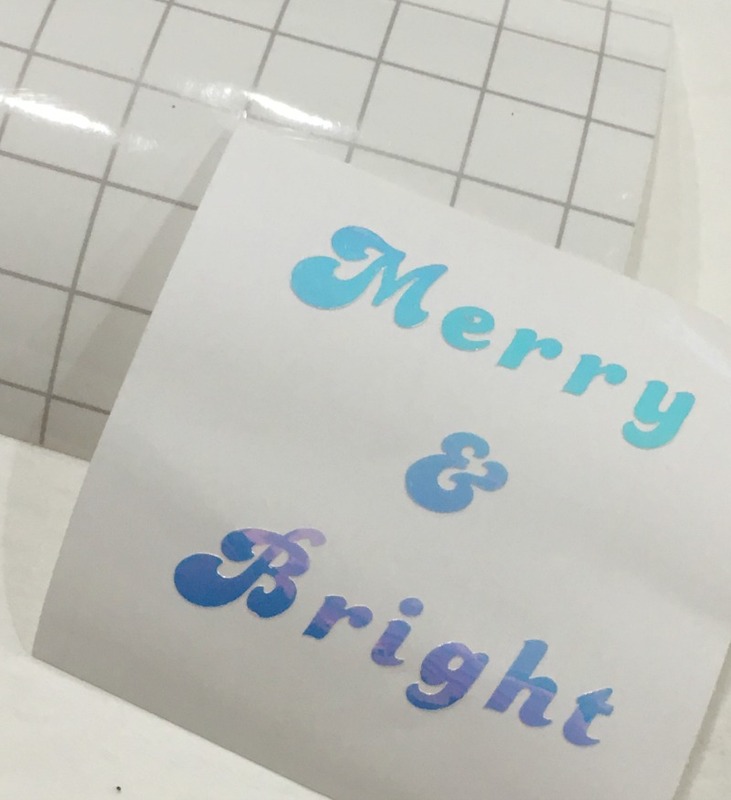 I used the Cricut Design Space to design the text that says "Merry & Bright" and sized it to fit on the ornament. Once the holographic vinyl was cut and weeded, I decided to cut the text into three strips to make it easier to apply since the surface is curved. 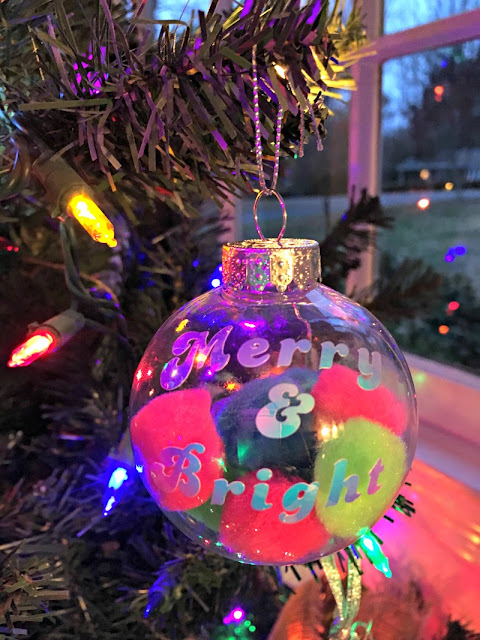 I used the transfer tape to apply the words to the ornament. 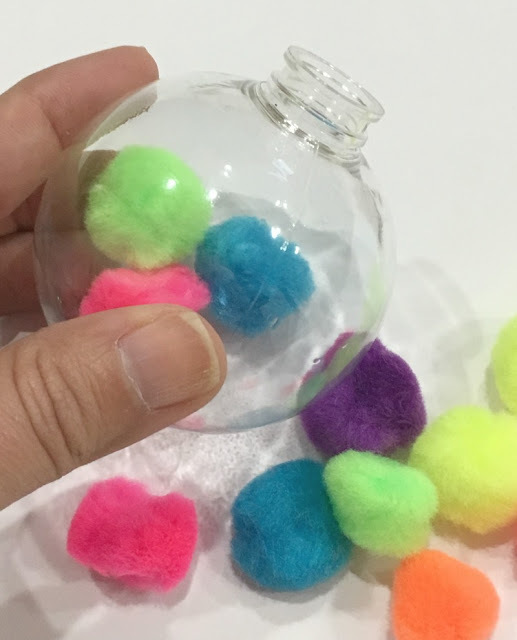 I filled the ball about 3/4 full of the pom poms in a random assortment of colors. I love the way this turned out and it took me about 15 minutes to make! Are you still Christmas crafting? If so, tell me what you have made in the comments! 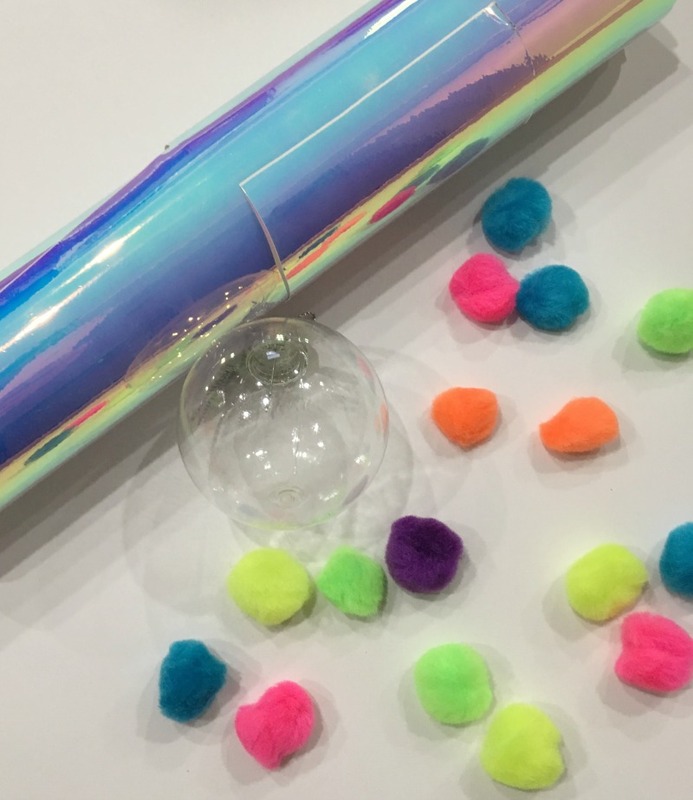 Love it -- I adore pom poms! Merry Christmas!